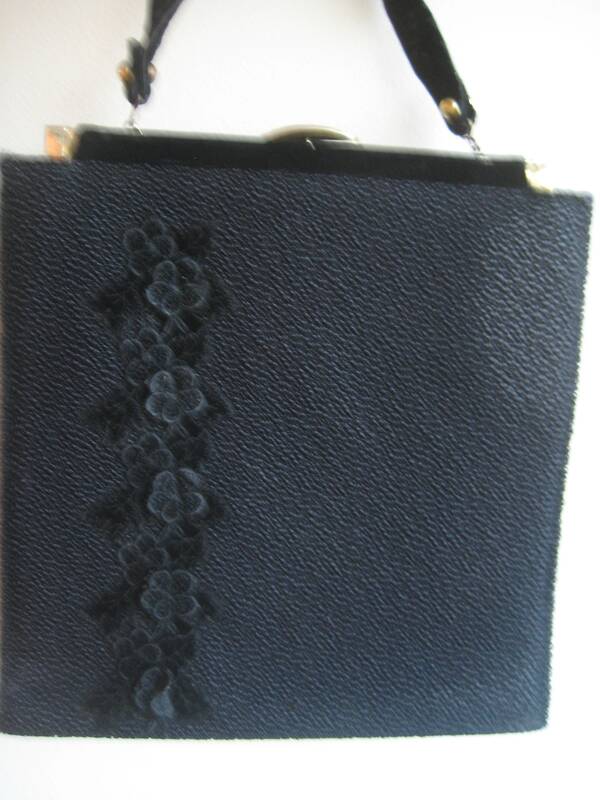 Lovely vintage purse covered in back nub fabric and detailed with a black velvet flower applique down the front. 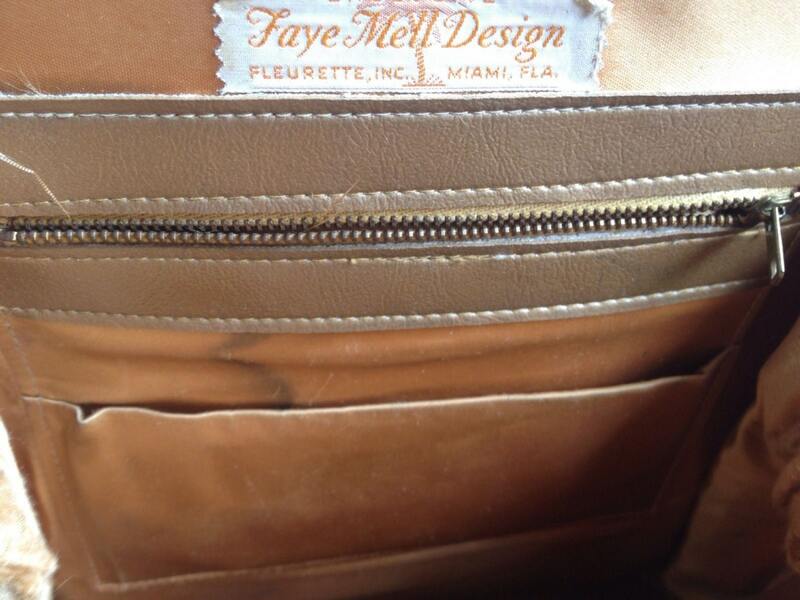 Purse is labeled Made by Faye Mell Designs, Fleurette, Inc, Miami, FL. Gold-toned metal frame, with some patina. 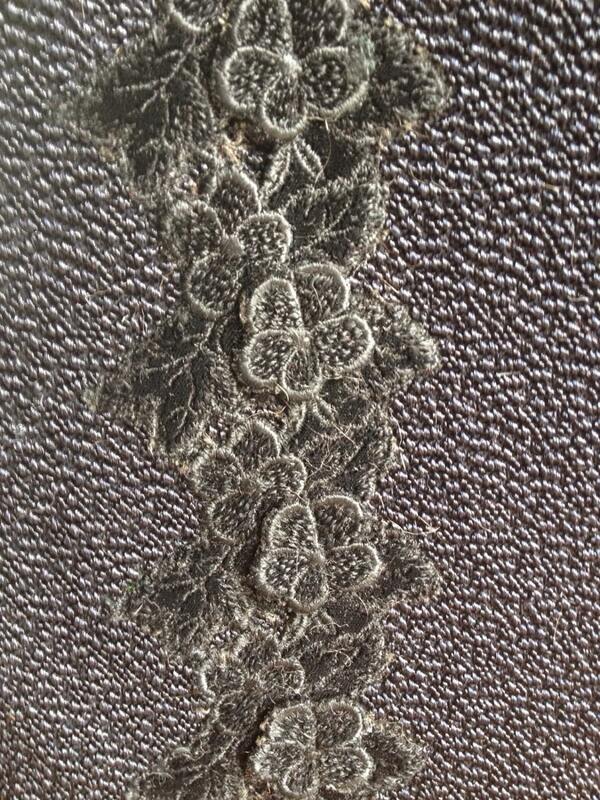 Marching gold tone metal catch closure on top. 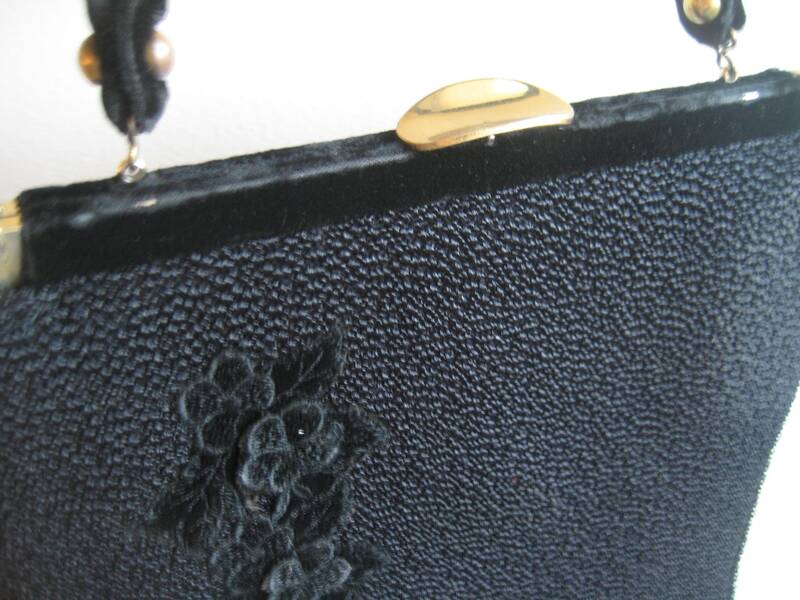 Black velvet trim along the top and in the one velvet handle. Interior is gold satin. Very deep room bag inside. Measures 12.5 inches tall x 12 inches wide x 3.5 inch depths. 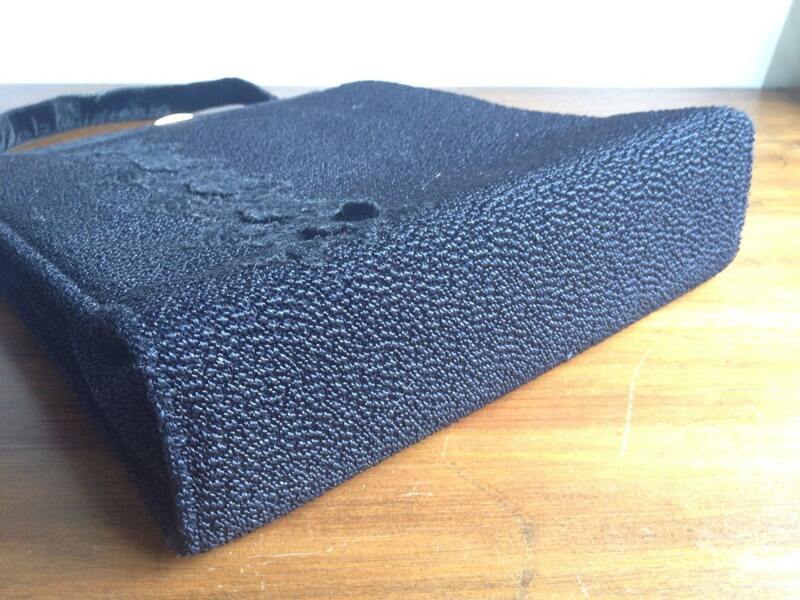 Velvet strap extends 6". 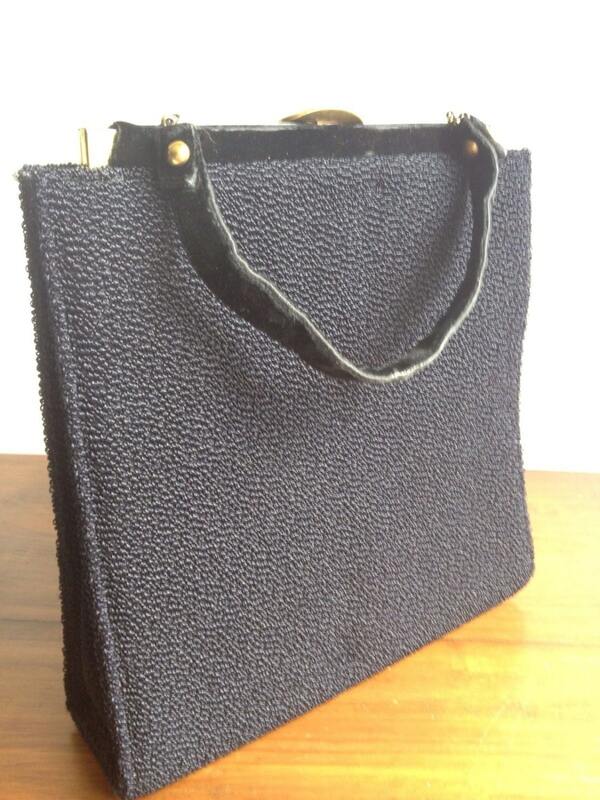 Very striking and unusual and perfect for a person of larger stature.